T-Mobile Encinitas is a wireless provider that offers industry leading smart phones, data plans, Internet devices & mobile accessories. T-Mobile is the fastest growing wireless provider in the US, providing their customers the best value in wireless and award winning support. T-Mobile is known as the Uncarrier, putting customers first and providing them with the best solution for their specific needs. The Encinitas T-Mobile location is owned and operated by MobilOne LLC. MobileOne works together with T-Mobile to provide their customers the best experience in the industry. MobileOne is currently expanding their operations, which means they need passionate visionaries to make growth possible! 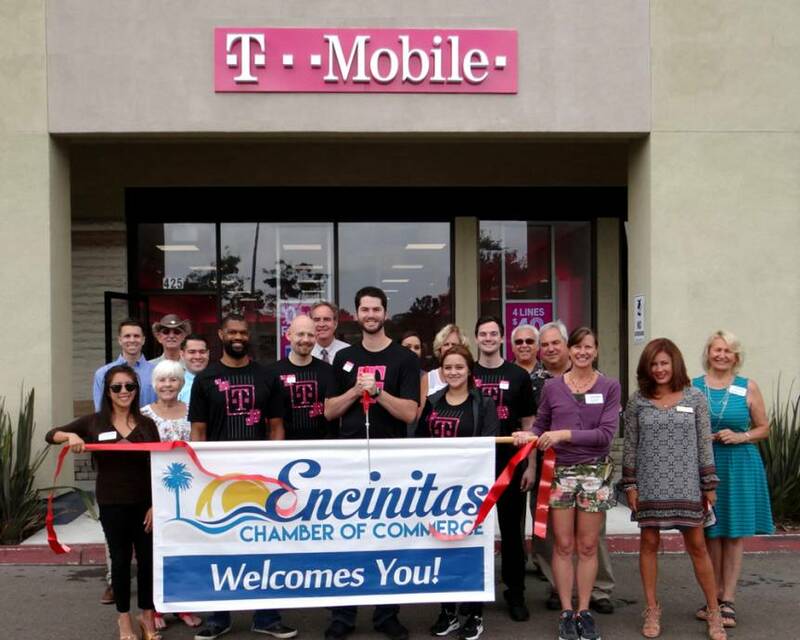 The Encinitas Store is MobileOne’s first of many San Diego locations. The business currently operates over 113 T-Mobile stores throughout Arizona, Arkansas, California, New Mexico, Oregon, Texas, and Washington! MobileOne is one big family that grows together with its employees and its customers! In 2015 they were named Americas #444 fastest growing company by INC 500. The success comes from employees desire to serve their customers. The staff prides themselves on making everyone’s experience very personal. Providing a custom fit solution for the unique needs of each client.